APA Wireless releases our newest product line! 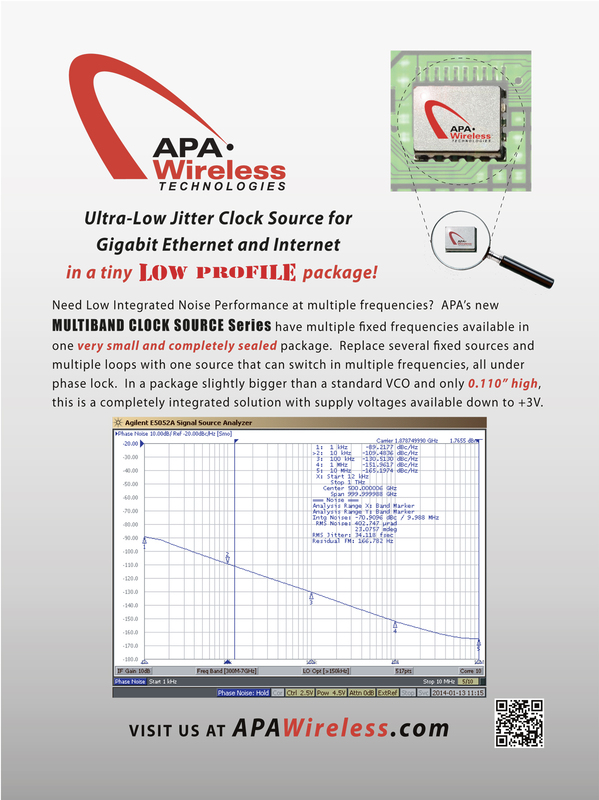 APA's series of programmable clock sources have ultra-low jitter (<30fsec at 2GHz, 12KHz ~ 20MHz) in a package not much bigger than your thumb. Features low noise out to 100MHz from the carrier and provides three discrete frequencies anywhere in the 100MHz to 2GHz range. The outputs can be sine or digital (LVDS, LVPECL, CML, etc), fully characterized over the industrial temperature range. Voltage is +5V and the operating current is less than 50mA. 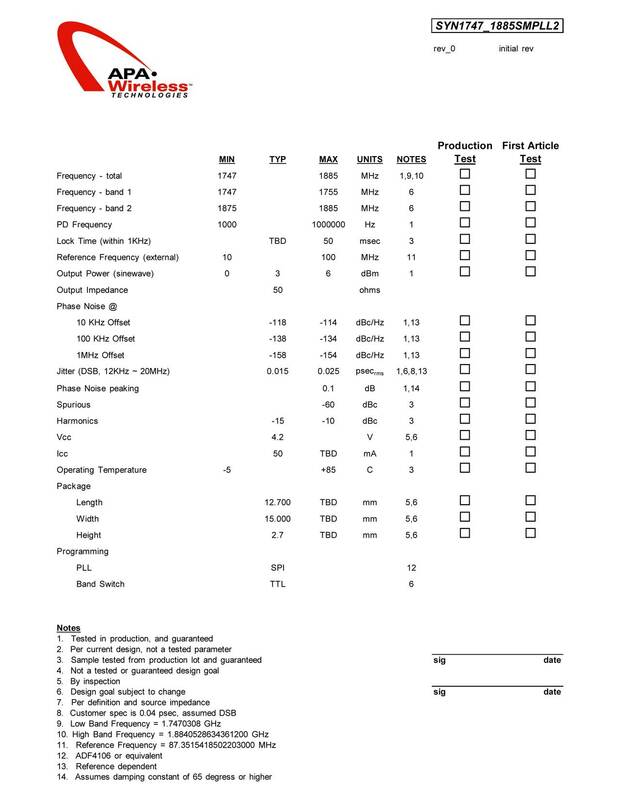 *OEM's that manufacture radios/equipment for Long Haul Terrestrial Networks that carry very high bit rates. *OEM's that manufacture radios/equipment for Metro Networks that deliver super wide bandwidths.